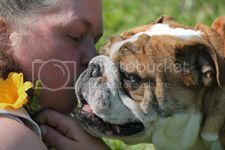 English Bulldog News Forums - May 2012 Moms & Bullies Photo Contest Winners! 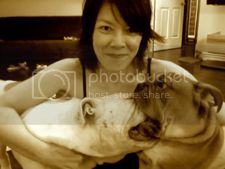 May 2012 Moms & Bullies Photo Contest Winners! Congratulations to gunnyboy, the winner of our Moms & Bullies contest! Congratulations to both RissaT and cali baker for being Runner-Up! aww, thanks a lot! i'm really excited!! can't wait to tell the boys when i get home tonight!! congrats to @gunnyboy and @RissaT ! Oh I loved those pics!!!!! Congrats to you all!!! Just loved those pics, congrats to all the winners. awwwnnnnn guys! thank you SO much! this made my day! Congrats! Loved all the photos in this special contest! Congratulations to the winners!!! Great pics everyone! Congrats to the winners!! I loved every single picture that was posted!! These are some of the best photos ever here at EBN! I loved this contest. Congratulations ladies!! Congrats to all, lovely pics!